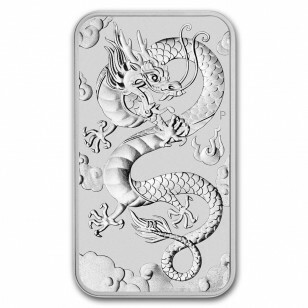 The Australian Perth Mint has released a new rectangular-shaped pure silver coin featuring a serpentine form of the mythical Chinese dragon, which has been revered in Chinese culture for millennia as a potent symbol of auspicious powers. Revered as the embodiment of the Chinese emperor and embraced as a personal talisman, the Chinese dragons have several animal-like shapes such as turtles, and Fish, with the most common depiction of the mythical creatures resembling a snake with four legs. 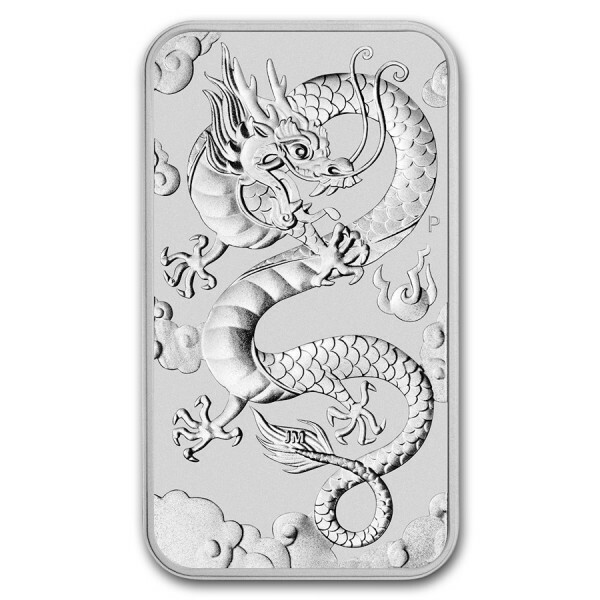 Unlike Western Culture, where dragons are depicted as flying fire-breathing destructive creatures, dragons in China are traditionally considered as a symbol of power, strength and good luck. They symbolize auspicious powers and control over water, rainfall or floods. 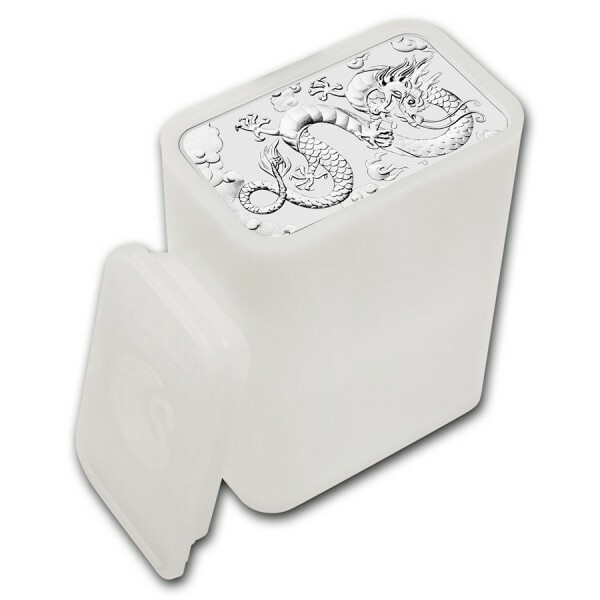 The coin’s reverse depicts a serpentine form of a dragon in a unique rectangular-shaped coin chasing a flaming pearl, which is believed in Chinese culture to have the supernatural ability to grant people their deepest desires. The obverse features an effigy of Her Majesty Queen Elizabeth II, by Jody Clark. It also shows the denomination, issue year, weight and fineness of the coin. 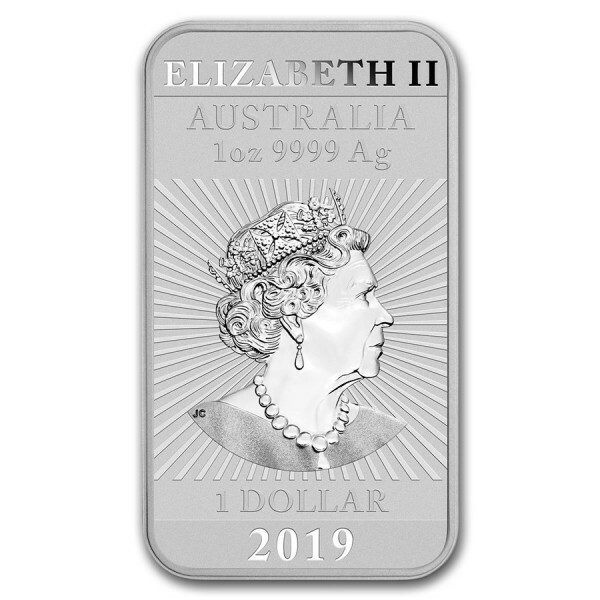 The new coin is struck in 1oz .9999 fine Silver. It has a limited mintage of 250,000 pieces. Multiples of 20 are packaged in mint tubes. Multiples of 200 are packaged in a Monster Box.